The Shanghai International Convention Center or the Oriental Riverside Hotel, is a historical landmark in the city right at the heart of Pudong district's Lujiazui -- Shanghai's financial and trade zone. It is on the bank of the Huangpu River and adjacent to the well-known Oriental Pearl Tower where guests have a good view of the river. The hotel features 273 spacious and tastefully decorated rooms of different types -- superior rooms, deluxe rooms, business suites and a presidential suite. Guests can enjoy free WiFi at all public areas in the hotel. Other services such as free parking, babysitting, laundry and ironing, currency exchange, cash machines and a wake up service are all available. 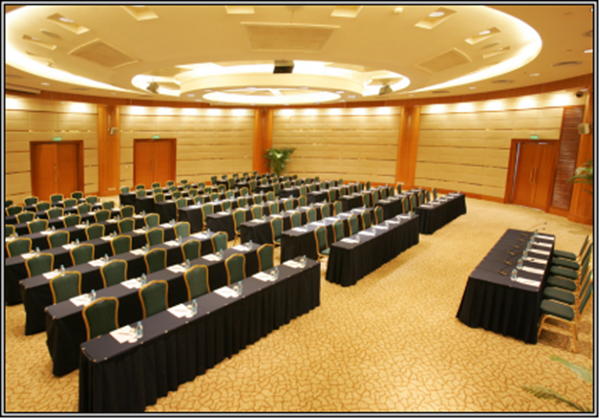 It is an ideal venue for international conferences. 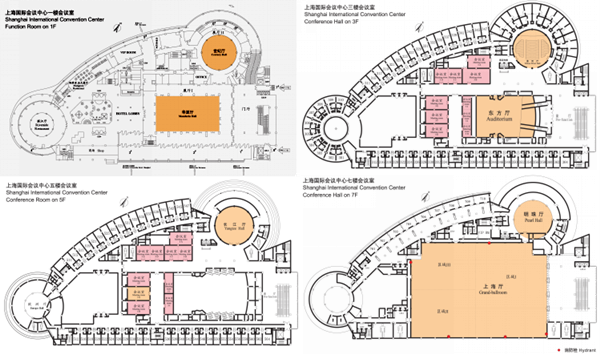 The Convention Center at the hotel features 30 multifunctional meeting rooms and has the largest pillar-less ballroom in China, covering 4,000 sq m. It is also equipped with advanced high-tech audio and video systems and simultaneous interpretation facilities. Many significant international events and commercial forums have been hosted here, such as the Shanghai Cooperation Organization Summit in 2006, the Centennial of the International Opium Commission in 2009, the Welcoming Dinner of Expo 2010 Shanghai China and the 52nd ICCA Congress in 2013.